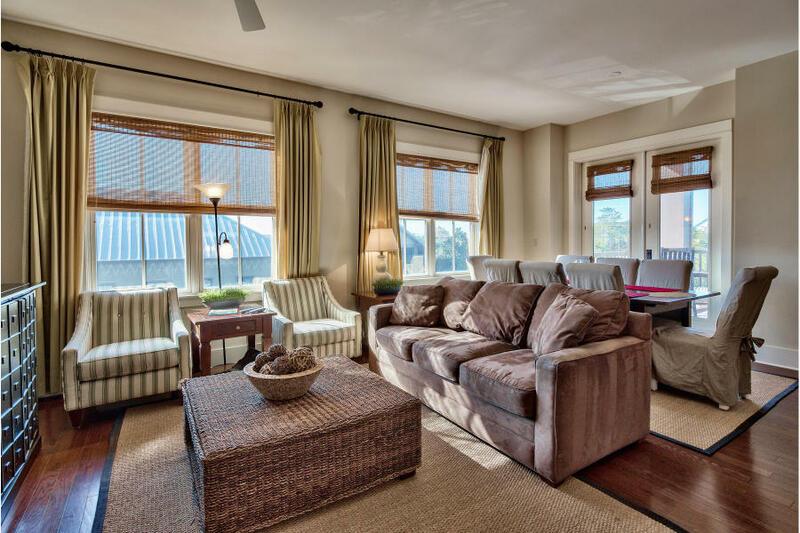 This amazing corner condo in Redfish Village on Scenic 30A is rental rental and the largest floor plan available. Local rental company projects this condo can gross $45,570 a year. This three-bedroom, three-bathroom condo plus additional double bunk room will be sold fully furnished. 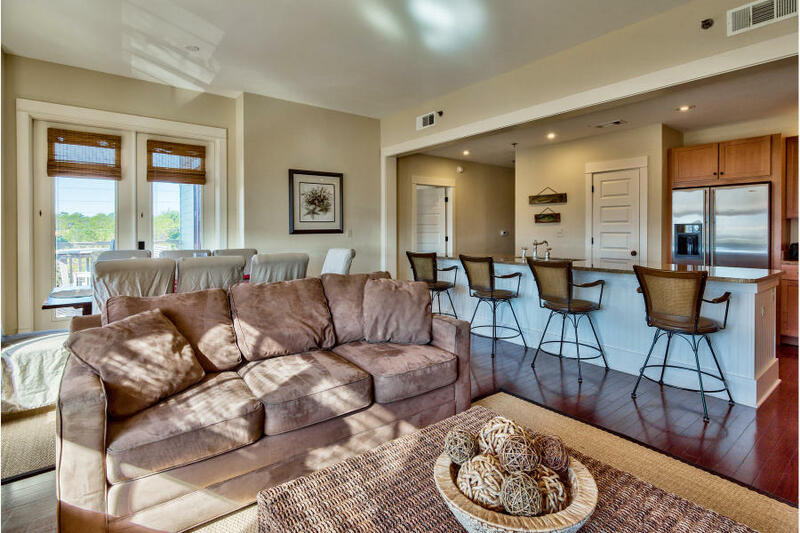 Redfish Village has deeded, private beach access with private bathrooms. 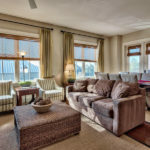 Hardwood floors run throughout the living areas in this condo. There is a full-size washer and dyer conveniently located in the unit as well. The corner balcony provides an ideal spot to watch a Florida sunset. There are two guest bedrooms with full bathrooms. Four bunk beds are located in the bunk room providing ample sleeping space. The kitchen, living room and dining room are all open and well lit from the natural sunlight, perfect for entertaining or family get togethers. The master bedroom has access to the balcony as does the living area. The master bedroom features a walk in closet as well as a spacious master bathroom including dual vanities, separate tub and shower and tile floors. The large kitchen has a long island and breakfast bar with granite counter tops, stainless appliances and custom cabinets. This condo comes with an assigned, covered parking space. 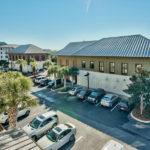 Redfish Village is nestled into the northeast corner of Scenic 30A and County Road 83. 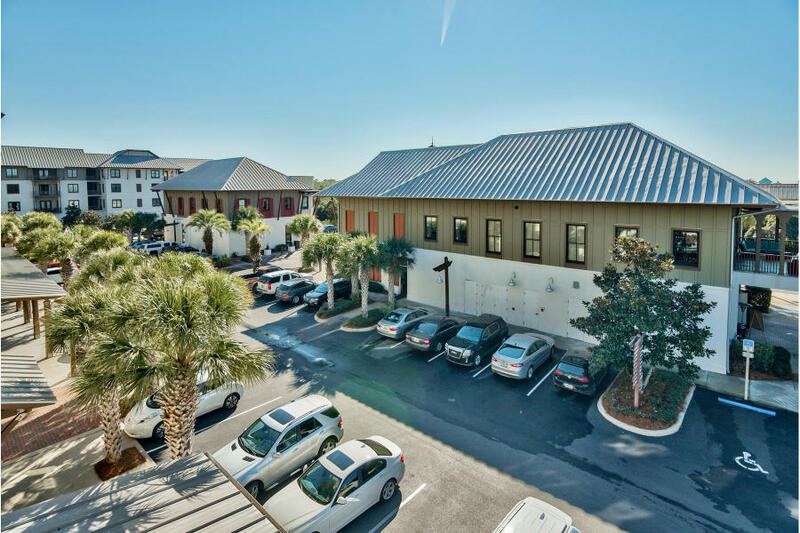 Redfish Village has an amazing pool deck with built-in grills, plenty of lounge chairs, pool bathrooms, a small playground and lawn for play games or events. The complex has a community room with a library, theater, and fitness room. There is also a beautiful private community dock on Big Redfish Lake.